A quick trip down to Australia has put Wally Berg and Leila Silveira on the top of Mt. 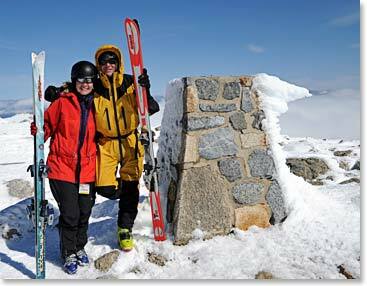 Kosciusko, They made the summit on September 7th and again on touring skis on September 8th. 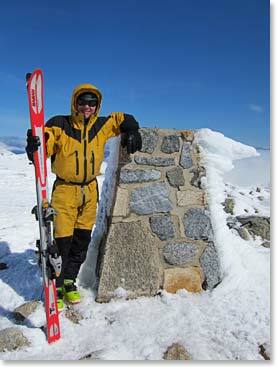 A few days of white-out conditions and sketchy snowpack were no match for these swashbucklers of the Seven Summits. 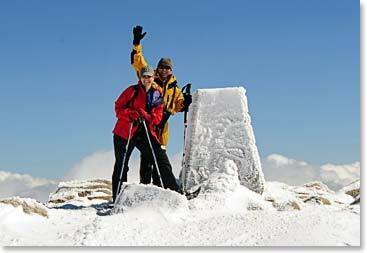 Wally and Leila on their first day’s summit.